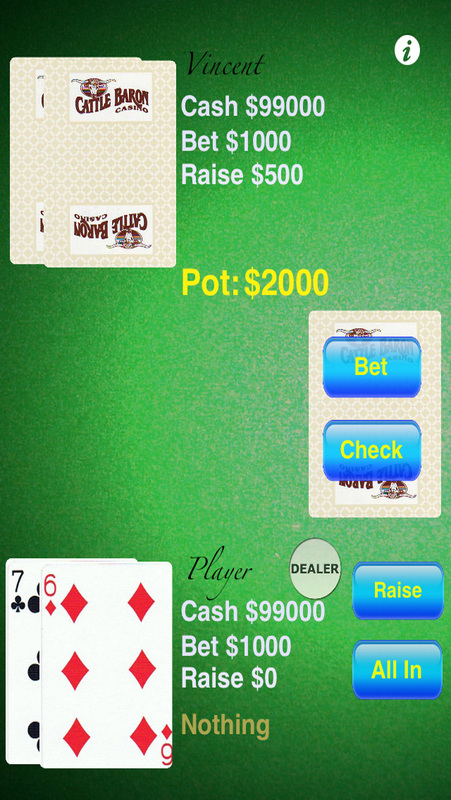 Play Texas Hold’em poker with the most advanced artificial intelligence ever created. 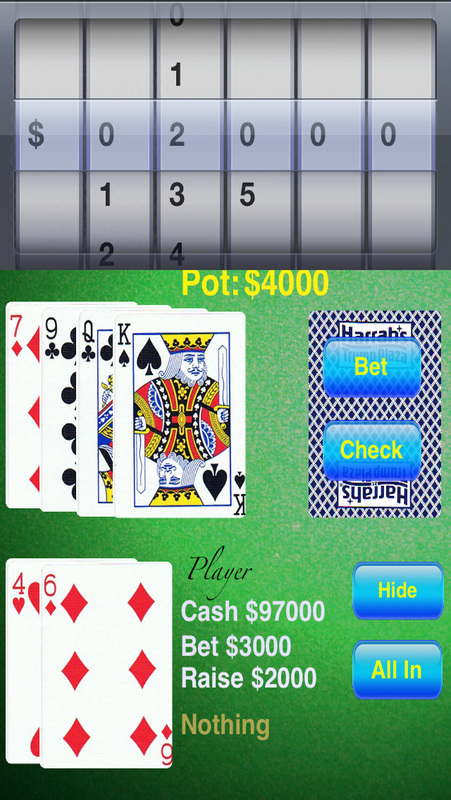 The rules are "No Limit" and "All In" bets are allowed in any round. 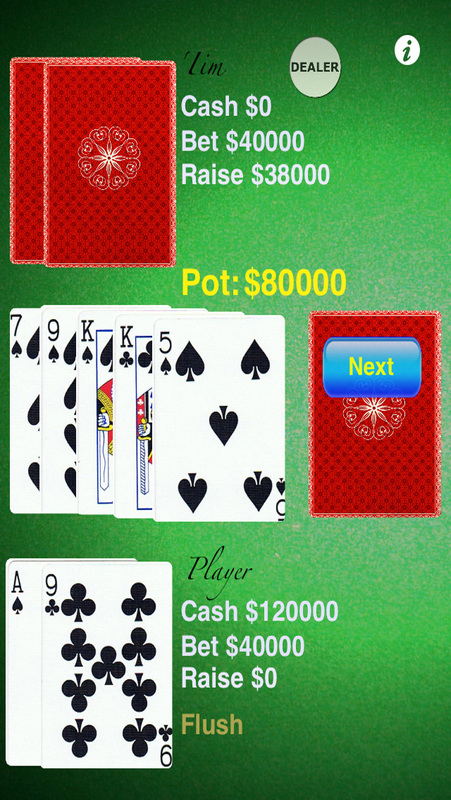 Play in a heads up match (you verses the app) and test your skills against the best. Uses real probabilities and professional betting trends and patterns. 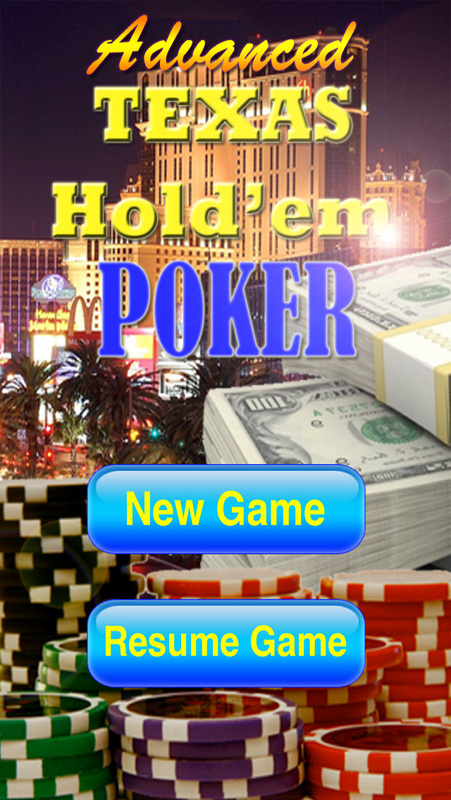 Advanced Texas Hold’em Poker is a great app to practice your betting strategy before you gamble at the casinos. The app mightbluff, check raise, or go all in, so be prepared at all times. 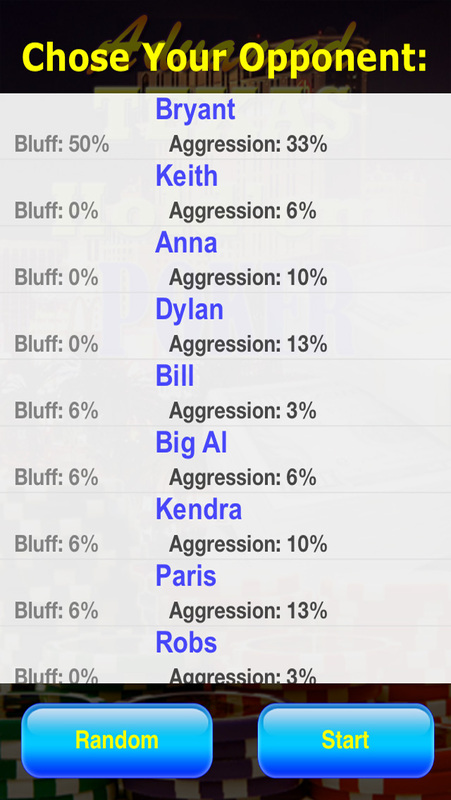 Advanced Texas Hold'em has one play level ... Advanced!